The state of vegetarian food today: A tragedy in three acts. Chefs must hate me, well not me personally, but my eating habits. I’m a vegetarian and for this I’m punished. I mean, how else do you explain the boring, bland, lazy dishes that I am served time and time again? Dear Chefs of Ireland, there is more to vegetarian food than risotto and pasta. I tweeted the above just last week. Judging by the 49 replies, 125 retweets and 489 likes, I’m not the only one who feels this way. Although, the general consensus is that goat’s cheese and stir fries also need to be banished from veggie menus forever. Dear Chefs of Ireland, there is more to vegetarian food than pasta and risotto. Although I have to say it’s not just chefs in Ireland that don’t know how to cook good food for vegetarians, it’s a disability suffered by many cooks worldwide. Here’s the bad vegetarian food that has been served to me in really good restaurants in the last eight months. See if you can notice a trend. My first veggie meal was in a 4-star, 19th-century Château in France. The chef just removed the meat from the plate and left me with nine pumpkin gnocchi. I was starving and went to bed still starving. Vegetarians need just as many calories as meat eaters. Here’s the vegetarian options at a barbecue in a 4-star Dublin hotel. Again, it’s just ‘minus the meat‘. 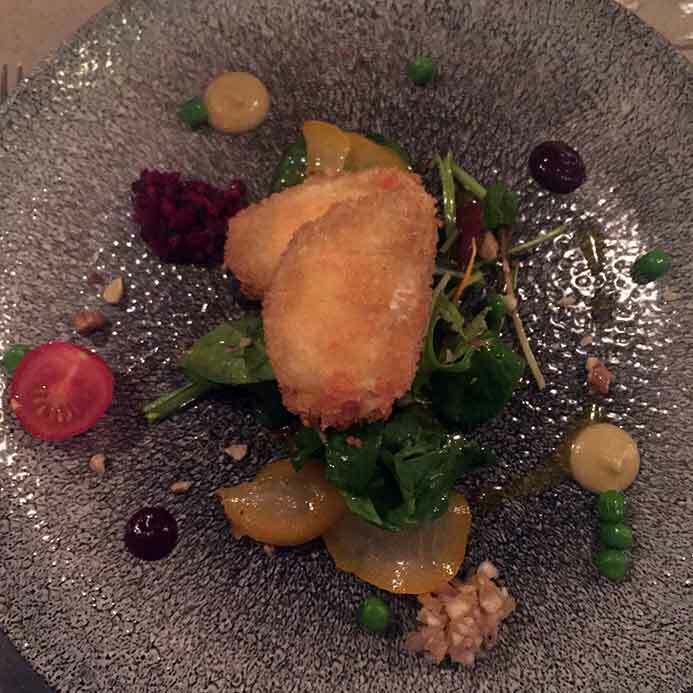 A Dublin restaurant served me this dish of fried brown. I’ve clearly suppressed the memory as I can’t remember what it is. 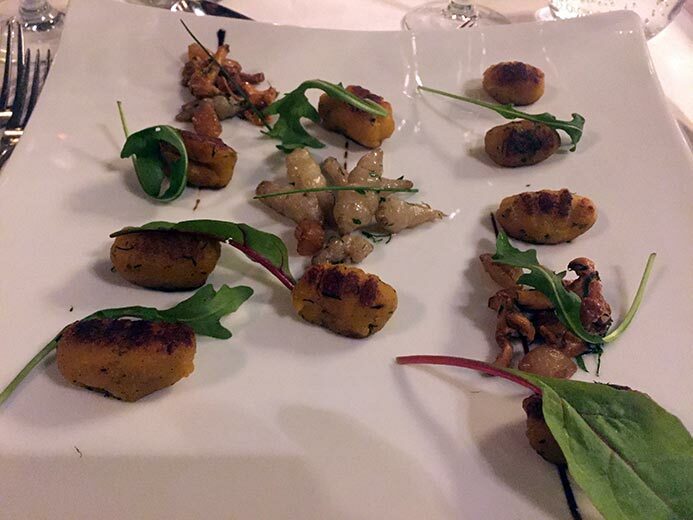 In a 4-star superior design hotel in Berlin, the only vegetarian option was another gnocchi dish with Parmesan cheese on top. Parmigiano Reggiano is not suitable for vegetarians and neither is Grana Padano and Gorgonzola. Stop serving vegetarians non-vegetarian food. The same thing happened in Romania and New York. but enough is enough with it being the only starter option on vegetarian menus. Who decided that ALL vegetarians love goat’s cheese? We don’t. I’ve had goat’s cheese served in a burger bun and called a burger – this is not a burger. 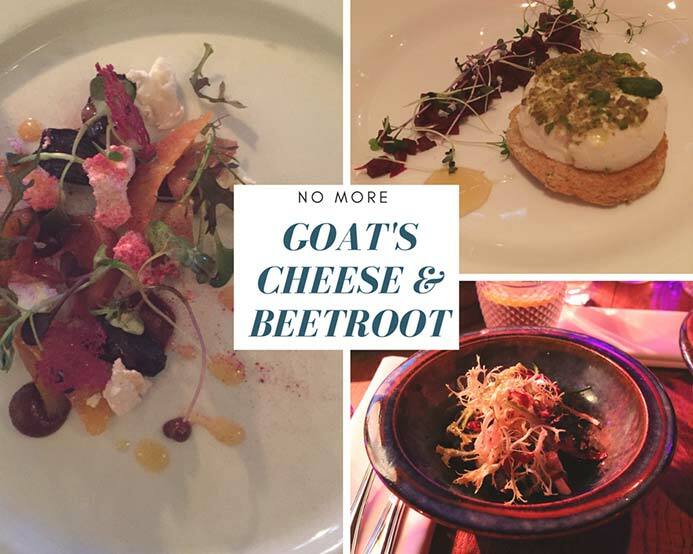 I’ve had goat’s cheese served as a panna cotta and I’ve had goat’s cheese served with beetroot, and beetroot and more bloody beetroot. This chef was determined to get all the clichéd vegetarian options in the one dish. 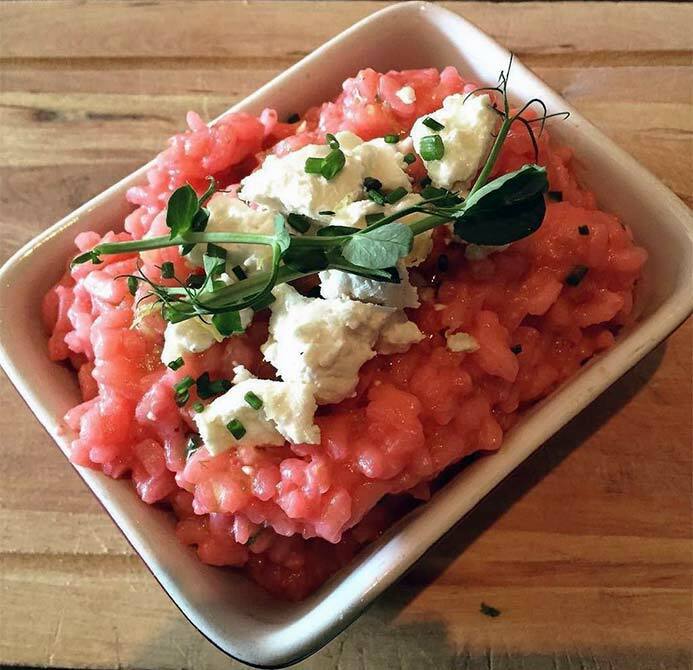 Beetroot risotto topped with goat’s cheese, anyone? Anyone? 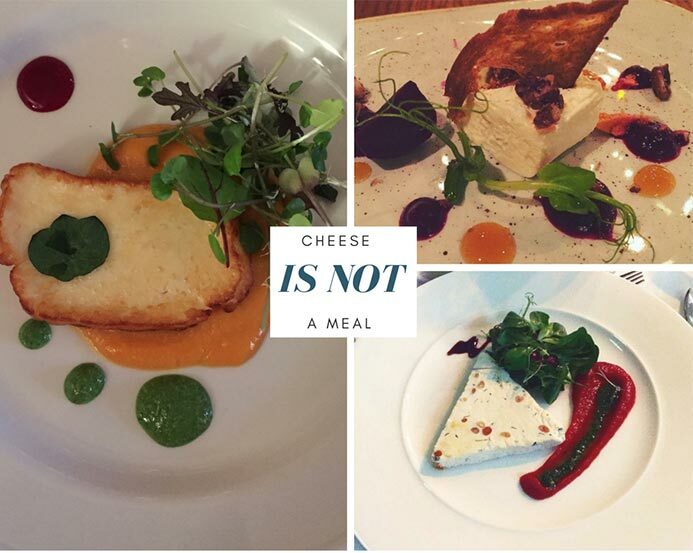 Whilst we are on the subject of cheese, if chefs could just stop placing a lump of cheese on a plate and calling it a meal, that would be great, thanks. Deep frying cheese doesn’t make it any better. As for pasta being the default vegetarian option, it is so tiring now. I no longer want to feel bloated and sleepy after eating out. 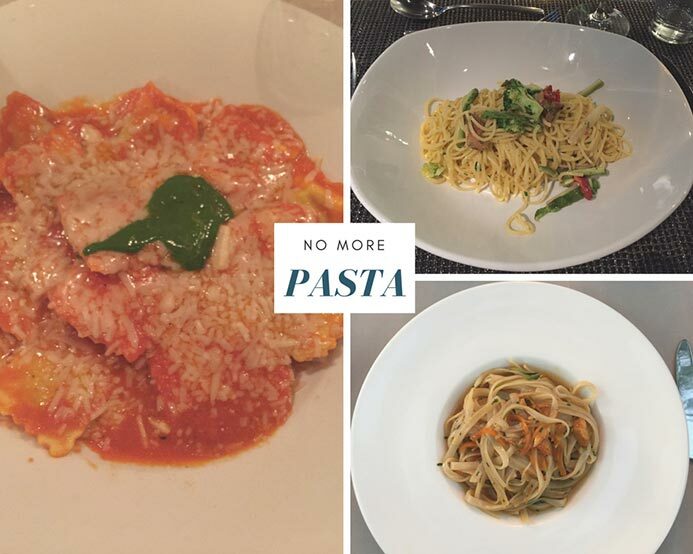 If I ever do want to eat pasta again, I’ll go to an Italian restaurant but when I go to any other restaurant I want to see something else on the menu. Two weeks ago, on an airplane, I had risotto for lunch. A few hours later, in a 5-star hotel in Spain, I had risotto for dinner. 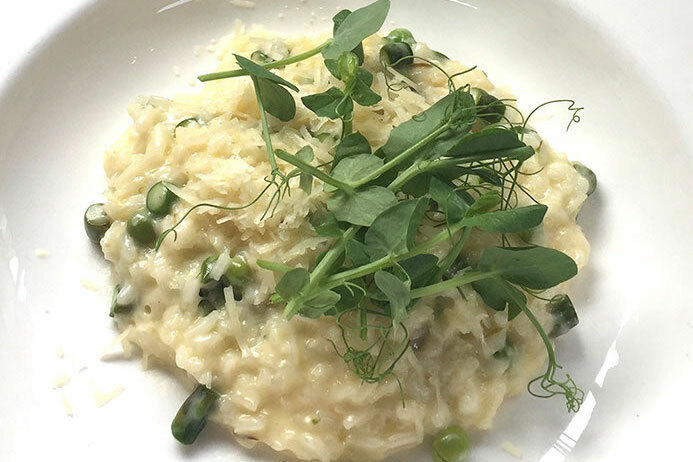 The next day, in a café in Spain, risotto appeared on the menu for lunch. I just couldn’t face another bowl. I’d reach my limit of mushroom risotto. I wanted to cry. I felt hard done by as I watched everyone else tuck into plates full of protein, carbs, veg and different textures and flavours. This has been my eating out diet for the last eight months. Very little variety. Very little colour. Too few vegetables. Too much disappointment. Just because I am a vegetarian doesn’t mean that I don’t like, want or deserve decent food. I know I am not alone in my frustrations. Dear readers, what vegetarian food are you sick of seeing on menus and what are some of your experiences of bad vegetarian food in good restaurants? Chefs, are you making creative and well-balanced vegetarian dishes? Then let us know. I’ll add your establishment to a list of great places to eat vegetarian food. Thanks. You might also like my blog post on the simple ways chefs and restaurants can improve vegetarian options. Have you tried my vegetarian quinoa salad with grilled halloumi recipe? If you like this post make sure you check out the map of cafes in Ireland that give a reusable cup discount. 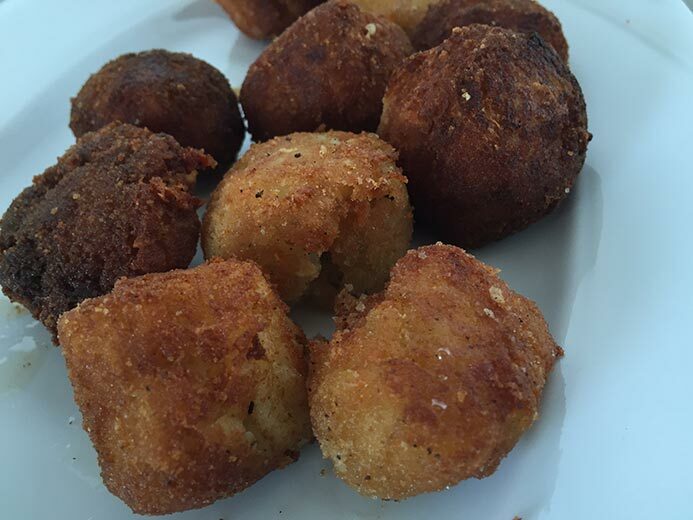 If you like this bad vegetarian food in good restaurants blog post, please share with others. If you are a vegetarian you are already limiting your options. Get real. Mediterranean diets are largely vegetarian and what’s on offer is varied, colourful and delicious. A chef’s job is to be creative with food so creating veggie friendly dishes shouldn’t be that hard for them. 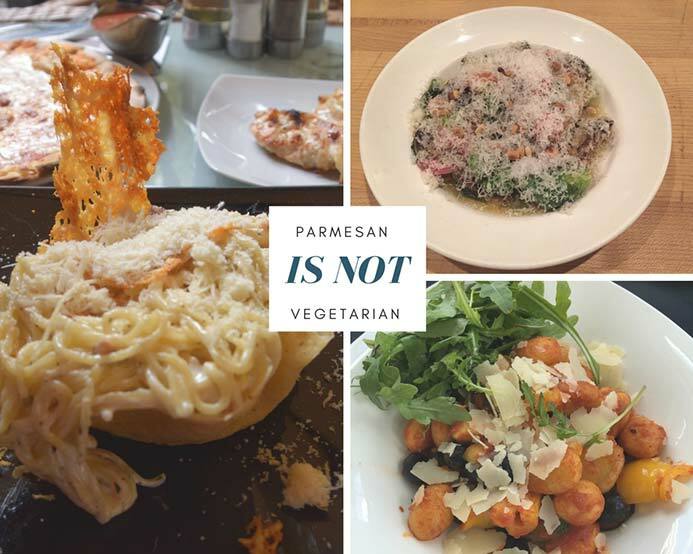 I’m not a vegetarian, but if I can create more that just risotto & pasta dishes or other carb heavy dishes for my vegetarian in-laws, how is it that a chef cannot? Loved the article, hopefully this gets seen and puts a challenge down in front of chefs to get creative. Thanks Mandy. You hit the nail on the head, if I can make tasty veggie food at home with no training then people who are paid to make food can at least make one or two decent options that don’t include meat. I think Jason she may be referring to the lack of VEGETABLES offered as vegetarian food. And yeah she is removing one food group from her diet that limits her from eating ALL food…(the lovely animals that we slaughter to eat) so good on her, doesn’t mean we can’t expect interesting and satisfying food in a restaurant.. The number of vegans and vegetarians is rising and restaurants need to cop on and change their approach, creating interesting dishes rather than their normal meat offerings minus the meat! Great article Melanie!! Thanks Jo. That’s it, I am removing one food group not all food from my diet and it’s for humane and compassionate reasons! How terrible of me! Paying the same price is also very off putting for people and it will make people choose the meat option over the veggie option as it seems better value. If things were priced fair I bet a lot more veggie dishes would be sold to a lot more non-vegetarians. I can only imagine your struggle being gluten free too but I am ery envious of your personal vegan chef! There is a lot more varieties of vegetables and fruit and vegetarian food than there is of meat. I don’t feel like I’m the one limiting my options. “Too few vegetables” says it all really doesn’t it. You are absolutely right – in 2017 there are so many wonderful, creative vegetarian (and vegan!) meals that chefs can create. There is no excuse for laziness. I heard the same complaint from a coeliac recently who said despite giving a restaurant 7 days notice she was served popcorn as a replacement for the gluten-containing cakes and bread and left to go hungry and yet pay the same price! Well said and so glad you shared, and all the fab photos to illustrate your points. Popcorn? That’s not a meal. I do feel it is laziness. I do feel if there was a decent veggie option on menus that more people would choose it and the restaurant would get more customers. It’s a no-brainer for me. I never want to see another stuffed pepper again! :’D Being vegetarian doesn’t mean liking bland food. Do they still make stuffed peppers? So veggie food hasn’t moved on from the 1980s. Bland food is such an insult to vegetarians, it shows that the chef hasn’t even bothered to taste the dish. This really made me laugh! It’s no better across the sea… I was at a country pub the other week, which had great reviews and a couple of delicious looking veggie options on the website. 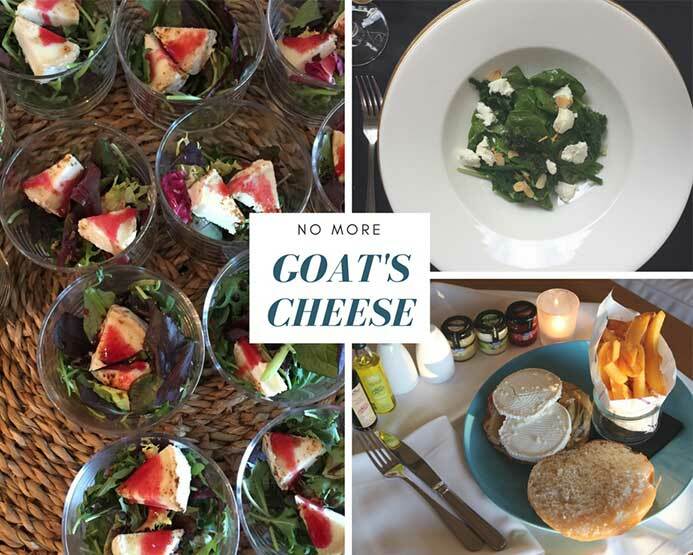 When I arrived I was faced with a single option, goat’s cheese salad (boring!) with caramelised walnuts. What arrived was some dry leaves, some goat’s cheese and raw walnuts. No dressing. Now I NEVER complain but this took the piss! And to try and charge £10 for it too. Also had a crap experience at a pub in Islington where the only option was a watermelon salad. I can’t stand watermelon! They ended up making me something from the brunch menu! So even in Islington, Jeremy Corbyn’s constituency, you still have boring food and unimaginative chefs. I now refuse to go anywhere if I see fewer than two options. It really says something that a few years ago when I wanted filling veggie food in the UK I used to go to Wetherspoon’s as it always had a really filling veggie burger and chips on the menu or veggie chilli. Things have improved greatly in the UK though, although I was quite lucky when I lived there as I was in Dudley where there was a decent sized vegetarian Asian community with loads of restaurants catering to non-meat eaters. I do feel that in Central London there are great veggie choices now especially Lebanese food. This makes me sad… I’m not currently vegetarian but working towards increasing the number of vegetarian meals in my diet and decreasing the amount of meat I eat with the view to eventually cutting it out altogether. 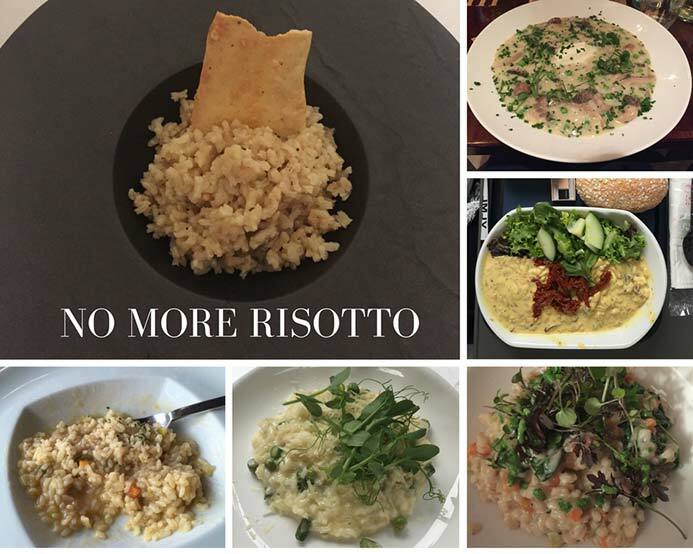 I love eating out and I know that this could be the problem I’m faced with (I absolutely hate risotto so I wouldn’t even try it), but I’m still going to work towards this goal regardless. 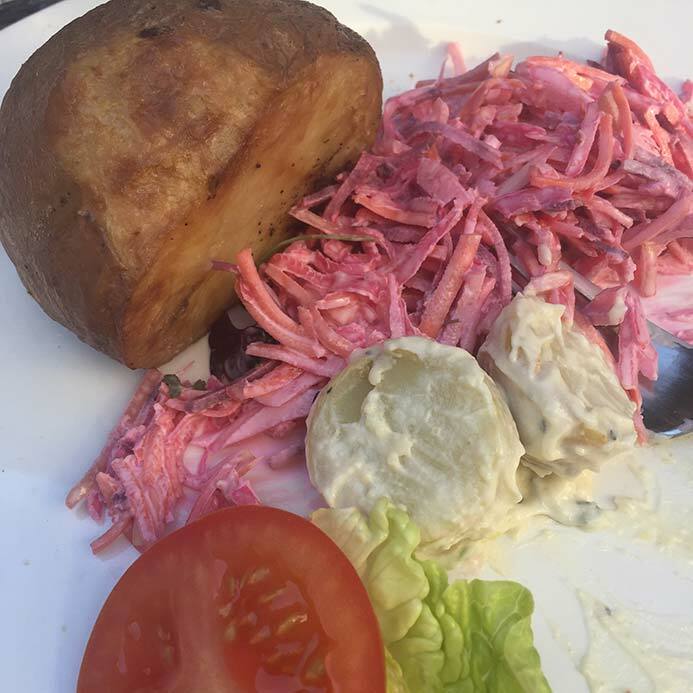 It’s not that hard to eat veggie food in Dublin as there are some really great veggie restaurants but it is very difficult to find a ‘regular’ restaurant that serves really great veggie and meat dishes. This is where I have the most problems, eating out with meat eaters. They usually get great food and I am left with poor food choices. How many of the above were meals that were actually paid for, versus freebies and PR Launch events? Out of all those photos six of them are from launches and on each occasion I gave at least two week’s notice that I was vegetarian and the hotel or restaurant had plenty of time to accommodate me. The other dishes I paid for or were paid by someone when we were eating out. Yes to all of this. I love sharing food but you are right, if there are two veggies we usually end up ordering the same thing as there isn’t must to choose from and it does take some fun out of eating out. I also sometimes feel that there is no point eating out when I can cook tastier food at home for much cheaper too. €15 for risotto is a joke. I have not been to Cafe Paradiso yet but I have two of the cafe’s cookbooks and they are marvellous. Is Darwin’s good? I would never have thought to check in there are it is a steak house! I’ll add those places on to my list of restaurants that are good for vegetarians. Thanks so much. Vegetarian stir fry. When I lived in Ireland restaurants would all say ask about our vegetarian special. And it was always vegetarian stir fry. Completely bland and monotonous. But of course no effort to cook. Oh it is the worst. Sure, we learn how to make a stir fry in high school. I expect a bit more when I go into a restaurant. Couldn’t agree more. On Saturday I was at a fancy wedding venue and the starter for most people was Figs & Parma Ham…I just got two slices of figs, two bits of rocket and a drizzle of dressing! Just not good enough. Every time I go to towns in Cork (not West Cork – that’s different) I have to survive basically on chips unless we head into the city for risotto or stirfry. Thankfully Dublin has some good spots but there is nothing worse than being starving and heading into a restaurant only to see a single, boring option on the menu. I want choices! I lived in Melbourne for a bit and man they have excellent food choices for veggies and vegan there including a very popular fast food chain (Lord of The Fries) that is entirely Veggie/Vegan. If it can be done there….! Wow, they could have at least made the effort and added a bit of cheese to the figs! Cheese and figs go great together. I think that Cork has some of the best veggie options in the country! Loads to choose from, but you do have to go into Cork City to find them. A few veggie/vegan places have opened up in Dublin, Happy Food off Camden Street and Veginity has just opened on Dorset Street. I hope you can find a decent meal soon. I feel your pain. I hate mushrooms and they are in most veggie options. I hate rice, can’t eat rissoto and am not much into pasta. Mushrooms are in everything! Apparently the are ‘meaty’! And I wouldn’t be a fan of rice or pasta either. Wouldn’t it be great if restaurants made use, you know, vegetables? Reading this article and all the comments… really just convinced me that vegetarians are impossible to please. You don’t want pasta, rice, cheese, or mushrooms. Leafy salads aren’t good enough. Yet nobody suggested any dishes. A chef could create an awesome dish of roasted root vegetables or something and you would still complain. You probably hate the texture of eggplants too. I have no idea where this entitlement is coming from. If you read the second part of this blog post you’d see that I give loads of suggestions. And not wanting to just be served pasta, rise, cheese or mushrooms is hardly being entitled or impossible when there are over 20,000 species of edible plants available for chefs to work with. That’s an unfair statement on the availability of edible plants. You’re spamming the entire globe. Just because it’s edible doesn’t mean it’s accessible. Look at your grocery store: how many thousands of edible plant options do you find? In addition, just because it’s accessible doesn’t mean you’ll like it . We’ve already established that wheat, rice products and leafy greens for salads are disliked amongst you lot. And I’m sure you won’t appreciate an entree of savory banana and durian, so fruits as entrees are also out. You’ll roll your eyes at hardy root vegetables as entrees rather than sides. Map out a Venn diagram, and you won’t be left with much. I’m still waiting to hear what vegetarian dishes you’d like to see. Or will you just say that it’s the chef’s job to figure out what you like?